When Google makes a change, the rest of the world pays close attention. That scenario is playing out now in the world of email marketing. 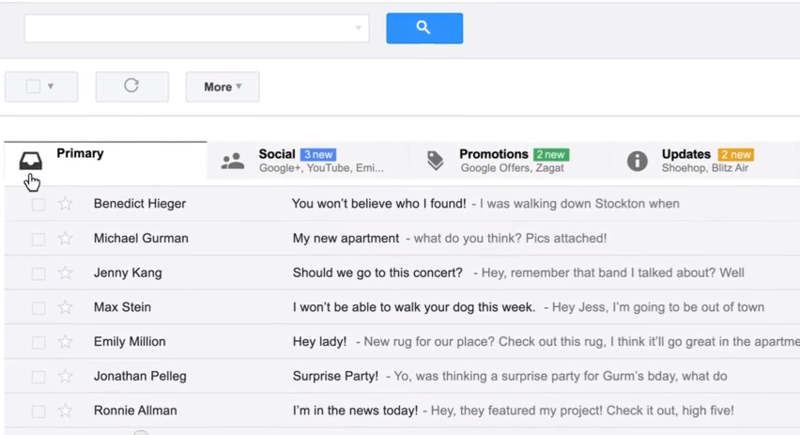 Google recently launched a new layout for its popular Gmail service. This new layout places all promotions, including those sent by email marketers, in a separate tab. That means Gmail users are free to peruse – or ignore – these marketing messages at their leisure. What this all means is still unclear. After all, this change just took place. What we do know is that email marketers will need to study the change closely – and adapt their messages to fit this newly changed world. 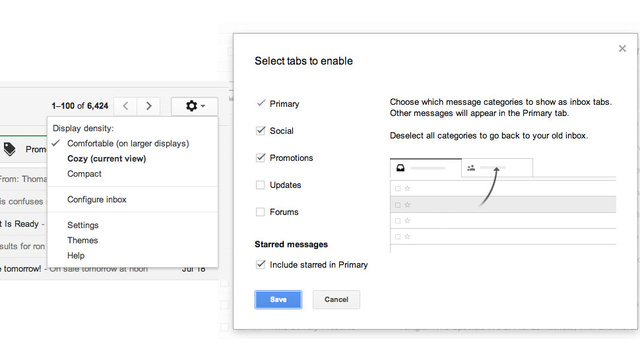 The new tab feature in Google Gmail allows users to organize incoming messages with five tabs – initially dubbed Primary, Social, Promotion, Updates and Forums. That would seem to mean that email marketing messages would land in the Promotion category – which could be good or bad for email marketers. If you have loyal customers who eagerly wait for your next offer, this new tab feature gives them an easy way to find your latest messages. On the other hand, the new feature also makes it easier for users to delete unwanted marketing messages. It would appear that Google is placing email messages that include an unsubscribe link, including newsletters, promo lists, blogs and email marketing messages, into this promotional category. That means marketers need to be aware of this new reality and tailor their messages accordingly. How Can Users Revert to the Old Gmail Layout? Not all users will enjoy the new Gmail tab feature, and some users are already looking for a way to go back to the old inbox look. Fortunately, Gmail makes it easy for users who prefer the classic look. All users have to do is open their inboxes, choose the default setting and uncheck each of the tab checkboxes. How Can Email Marketers Adapt? Even though users are free to switch their inboxes back to the old view, many will prefer to keep their Gmail tabs. That means that users will need to adapt their messages and tailor their newsletters to get the attention of those users. The good news is that there are several things marketers can do to make their messages stand out for Gmail users. For instance, Salesforce.com points out that short and enticing subject lines enjoy the best response. Subject lines of less than 10 characters enjoyed an average 58 percent open rate – something to consider as you tailor your own messages. Social Media Today also recommends that marketers address the Gmail changes and let their customers know that future messages may go to the Promotions tab. Smart marketers can suggest customers move their messages to the Primary tab instead. The recent Gmail changes present some challenges to email marketers, but they present some real opportunities as well. Something as simple as changing the timing of your emails – and limiting time-sensitive promotions, can have a big impact. The new changes mean that some users will set aside specific times to go through their promotional emails – and that could mean missing out on timed promotions. Extending the offer periods on those promotions could bring in more customers, and avoid alienating existing ones. Marketers should not panic or overreact to these changes. Google is a major player in the online world, but it is far from the only one. Just consider the impact of mobile devices on email – and email marketing. According to TopRankBlog, over 60 percent of decision makers read their email on the go, and many of them will not have the Google tabs enabled on their devices. That means their messages – including your newsletters and blog posts – will still arrive as they always have. In the end, it is still too early to tell what impact the new Gmail tab feature will have on email marketers. While some are already declaring the end of email marketing, it is far too early to make such a pronouncement. Instead, many long-time email marketers are taking a wait and see approach – waiting to see what impact these changes will have before making any radical changes to their marketing strategies.